4k00:12Detail of potato bed. No camera movement. hd00:15Crane shoot of a blooming potato field at morning, rural scene. 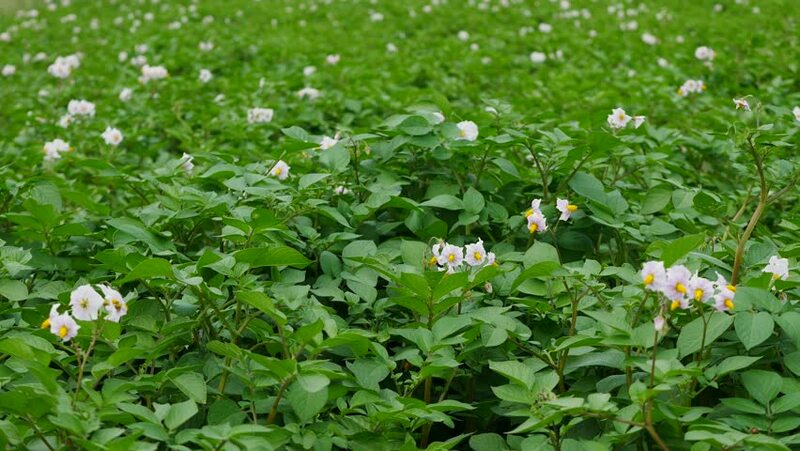 Blooming potato field.